CEMARS® Certified - Our greenhouse gas emissions are measured in accordance with ISO 14064-1 / we are committed to managing and reducing emissions. Freightways is a leading service provider in the Express Package, Business Mail and Information Management markets. Freightways recognises that its core business is reliant on transportation to service its customers and is therefore an emissions-intensive organisation. Freightways also recognises that it must play its part in protecting the environment. Freightways’ New Zealand based businesses are CEMARS® (Certified Emissions Measurement And Reduction Scheme) certified. Throughout all its operations, Freightways strives to be an environmentally-responsible organisation. This Environmental Statement outlines Freightways’ commitment to achieving this objective and details its current practices. At Freightways, we recognise that sustainable business practices are fundamental to our future. 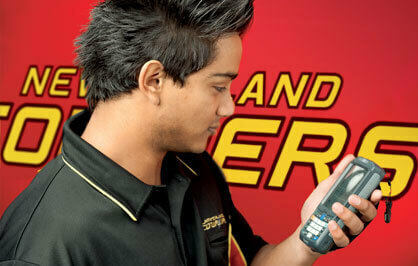 We strive to minimise the environmental impact of our daily business operations. We actively seek and embrace initiatives that protect the environment. We recognise that protecting the environment today is essential to creating a sustainable business future. 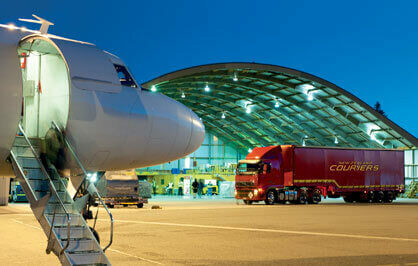 Environmental responsibility is a key component in the overall brand positioning strategies of Freightways’ businesses. We actively seek to minimise the environmental impact of all Freightways activities. We work in partnership with all stakeholders to promote good environmental practice. We comply with relevant environmental legislation. We are a CEMARS® (Certified Emissions Measurement And Reduction Scheme) certified organisation. Our greenhouse gas emissions are measured in accordance with ISO 14064-1:2006 and we are committed to managing and reducing our relative emissions. Efficiencies driven from our core business model enable our services to be delivered with as low an environmental impact as possible. We regularly review our operational activities, systems and training to ensure our business practice is aligned with this environmental statement. Freightways is committed to continuing to be a CEMARS® certified organisation. CEMARS® certification comprises the first two steps towards carboNZero certification, and involves measuring and managing greenhouse gas emissions as an organisation. Each Freightways business will continue to measure emissions to gain an understanding of our impact on the environment in which we do business. Once measuring has been completed (and audited under ISO 14064-1), our businesses will work to manage and reduce their relative greenhouse gas emissions through an emissions management and reduction plan. We are currently committed to a five year reduction plan, with longer-term targets being developed on an ongoing basis. Freightways believes that our commitment to the CEMARS® certification process will encourage staff and contractors across Freightways, together with our business partners and suppliers, to make environmentally positive decisions every day. CEMARS® certification allows Freightways to take a very positive step toward reducing our carbon emissions and further minimising our relative impact on the environment. To balance the commercial needs of our business with our responsibility to protect the environment in which we operate. When implementing its positioning, people, performance and profit strategies, Freightways will incorporate tactics that support our Environmental Statement. Having completed the initial measurement of its carbon emissions, Freightways will regularly measure its progress towards reducing and minimising emissions associated with the provision of its services. Freightways will ensure that development, growth and capital projects are planned with our commitment to CEMARS® certification in mind, so that we continue to grow in a way that reduces our carbon emissions and minimises our environmental impact. To promote cleaner air by minimising carbon emissions. Our company vehicle fleet will not be leased for a period longer than four years to ensure that it is renewed regularly with current lower emission technology. As part of our transition to lower emission company vehicles, we are continuing to trial hybrid vehicles. Our independent contractors are strongly encouraged to use later model lower emission vehicles. Our hub & spoke network is segmented and reviewed on a continuous basis to ensure the minimisation of kilometres driven and flown. Our aviation business actively measures and manages its performance to ensure the minimisation of fuel usage and emissions. We will maintain CEMAR®S certification by measuring our carbon emissions on a business by business basis and committing to manage and reduce them through an emissions management and reduction plan. To, wherever practical, implement actions that recycle, reuse and minimise waste of the products and resources we consume. Our range of recyclable courier satchels is currently being extended. Freightways’ offices actively promote workplace recycling and waste minimisation. Freightways’ document destruction business is positioned and promoted in the marketplace as ‘secure recycling’. Significant tonnages of paper are securely collected, shredded and sold for recycling. We have committed to identify, measure and document our carbon emissions as part of our CEMARS® certification. We will then continue to develop and refine systems designed to ensure ongoing relative emission reductions over time. To promote education and awareness of better environmental practice among stakeholders. Freightways promotes its environmental policy among staff and ensures individuals understand their role in the achievement of environmental objectives. Our suppliers are actively encouraged to demonstrate their environmental practice to ensure it aligns with Freightways’ objectives. We actively promote the benefits of good environmental practice among our customer base. Freightways endeavours to actively educate and communicate with our staff, contractors, customers and suppliers, our commitment to CEMARS® certification, ensuring they understand our objectives and the role they can play in achieving these. To seek to partner and work with others who can demonstrate a commitment to the environment. To make our business partners aware of Freightways’ environmental policy, our CEMARS certification commitment, and the expectations arising from these. Where all other things are equal, to choose the partners and contractors who can demonstrate sound environmental policies. To commit to CEMARS® certification and work in partnership with Enviro-Mark Solutions to achieve ongoing relative reductions in our carbon emissions. All packages were originally delivered via a point-to-point delivery system. In 1982, a Freightways subsidiary introduced ‘hub & spoke’ freight distribution methodology to New Zealand. This system promotes productivity and, as such, minimisation of emissions through less kilometres being travelled. Freightways’ business model, established by one of its subsidiaries in 1964, has been based on a partnership with independent contractors. 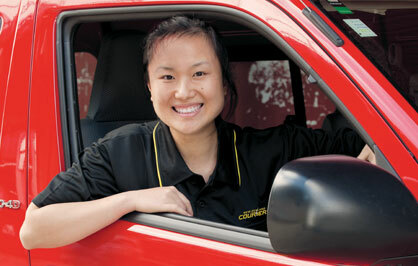 Independent contractors own their own vehicles and pay for their own fuel. This means that they are accountable for their own productivity and are directly financially incentivised to minimise kilometres travelled to provide their services and, as such, minimise emissions. The key to increased fleet productivity, and therefore reduced kilometres travelled/reduced emissions, is to enable the delivery of more packages by better utilising existing fleet resources. Freightways coined the phrase ‘run density’ to embody this operational objective. The success of its run density strategies hasenabled Freightways’ largest express package business over the last 10 years to grow the volumes of packages delivered by 80% while only growing its fleet size by 6%. All Freightways’ New Zealand businesses are CEMARS® or carboNZero accredited. CEMARS® comprises the first two steps towards carboNZero certification, and involves measuring, managing and reducing greenhouse gas emissions as an organisation. 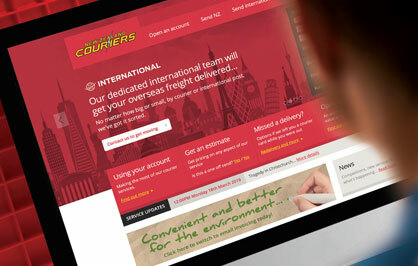 You can view the New Zealand Couriers Environmental Statement PDF by clicking on the link below.